This is going to take some getting used to. 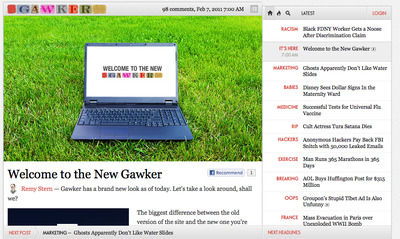 But then again so did all the other Gawker redesigns, which have subsequently been forgotten. Don’t envy the Gawker folks all the angry emails they’ll be getting today, however.